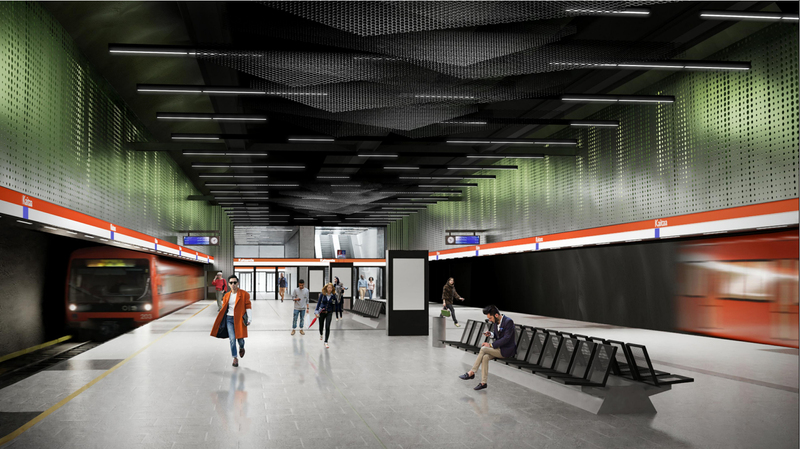 The construction tender for the Kaitaa station on Matinkylä-Kivenlahti section of the West Metro has been won by the YIT Rakennus Oy and Are Oy consortium. The total contract price is EUR 47 million. The construction project will involve previously excavated areas for the Kaitaa underground station, a service tunnel and chambers for its connecting tunnels, a civil defence shelter and the Kaitantie entrance, the Iivisniementie technical shaft and the space reserved for the Iivisniemenkallio entrance, in connection with which an exit road connection and technical shaft will be built at this stage. Construction of the Kaitaa station will be carried out by YIT and the Are consortium. The consortium will also build the Soukka station. “Our skilled personnel, strong experience in the construction of rock chambers and effective cooperation with Are have contributed to achieving the outcome we sought through the West Metro tendering exercise. We are delighted that, in the second phase of the West Metro, we can engage in the project management of the Kaitaa station’s construction in addition to the Soukka station. A collaborative approach and close cooperation with the customer organisation create an excellent basis for a successful project,” says Anne Piiparinen, Senior Vice President in charge of technical construction Infrastructure projects segment at YIT. The surface area of the facilities to be built is around 22,900m2. A total of around 8,300m3 of concrete will be cast and over 11,000 m2 of various elements installed. “Our consortium combines long expertise and experience of challenging projects within both companies, which we were also able to demonstrate in the tender for the Kaitaa station. Are is strongly committed to bringing the best building services expertise to the construction of both the Soukka and Kaitaa stations,” says Kai Nurho, Director Building Services Contracting at Are. In addition to the tendering process, the objectives of phase two of the West Metro’s construction in 2018 include the completion of excavation work and the acquisition of building permits for the stations. Construction is progressing according to objectives. “Around 60 percent of the technical construction work for the Sammalvuori depot has already been completed. Construction work has begun in Soukka, in Kivilahti and on the railway line. The project management contractors for the Finnova and Espoonlahti stations will be chosen next. As a whole, the project is progressing according to schedule. The aim is to hand the Metro over to the traffic operator, HLK, in 2023,” says Ville Saksi, CEO of Länsimetro Oy. In March 2018, the City of Espoo reviewed its project plan for the second phase from 2012. The revised cost estimate for the entire project is EUR 1,159 million. The goal is to hand over the seven-kilometre rail line together with its five stations and depot to the operator, HKL, during 2023.